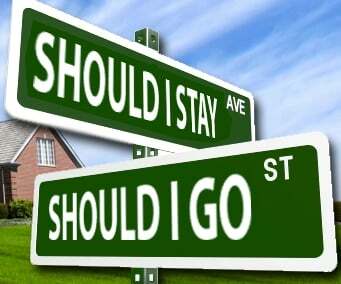 Home » Should I stay at my current company? Smart and wise list of things to consider – it’s helpful to evaluate your personal values. You may find ‘compensation’ is not at the top of your list! Creditility could also translate to ‘stability’ – we are in a job environment where corporate culture often downsizes with little or no excuse. Consider that going to a new job just for compensation is like getting a divorce – not because you’re unhappy with the current model but you may be more happy with a shinier newer model! Nice problem to have, Can I have your job when you leave? The way I would approach this is, what are the long term prospects for the firm , Is the business model still strong or do they face fundamental problems going foward? You know where you are from but where are you going to. Would where you are going to be in a stronger position? 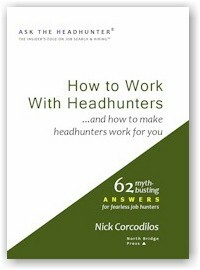 Nick is dead-on correct about the value of intangibles. However, those intangibles can change eg. lack of credibility with a new boss or sale of the company and the onslaught of a radical cultural change. People change jobs because something in their current environment is a negative or has become a negative (not including ‘down-sizing’ of various sorts). The negative can be professional: company’s future outlook has dimmed, new boss is a jerk,strategic change has reduced the significance and future of your position, company relocation to a lousy location, etc., etc. 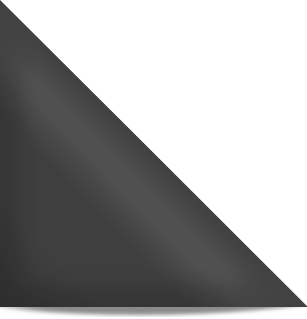 – or personal: sudden illness of an elderly parent, divorce etc., etc. The key questions about where you are going are 1) quality of the prospective employer – P&l/Balance Sheet of course,but do your research: company’s reputation, business plan, future prospects of the company, of its’ industry, talk to former employees if you can but most important: what do you think about them when you interview, are they prepared,are they answering your questions in a straight forward, no BS, manner, how do you feel, that’s right feel,about them (gut check time). If something feels wrong to you it probably is – trust your gut, on some level you have detected something that is not right for you. @ Mike. I’ve been in the broken job situation for 3 1/2 years. Like you I have exhausted efforts to re-align my role to some semblance of what I was hired for, but to no avail. In my situation task analysis and job role review is non existent and the top two leaders of my organization (one being my direct boss) have been in their roles for over 25 years, thus efforts to change the paradigm of thinking is pretty much futile. Whenever employees have left or been fired over the last couple of years, the additional work was funneled out or absorbed by others (I was one of those ‘absorbers’ and my role changed drastically, making my original role that much tougher). The company loses all it’s good and forward thinking people either to burnout or they seek other jobs. I actually am on the cusp of securing a job offer in the next few weeks from a hiring manager who shares my values and believes in developing his staff. I don’t even have all the skills he was asking for, but he is willing to train me in the one area I lack. In this case, moving on from my current employer is advantageous. 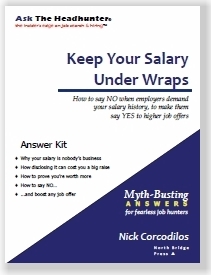 I do find Nick’s points valid and I simply did a detailed pros and cons for each employer. Moving on is best for me in this case. I hope my situation helps a little in reflecting on your own. – this was a desperation job when I took it during the crash of `08. – No significant raises in X years. – No promotional or professional advancement in X years. – “We Encourage Diversity” does not include you. Things to consider. The economy still reeks, and there is no end in sight for at least a couple more years. If you are at a place you can see yourself for another 3-5 years, might be best to stay. I am still surprised at how gay people at not accepted in my organization, much less included or encouraged. That was one of the primary reasons I decided to move on. Thanks, Nick, for this very useful discussion. K.E. Sometimes it more subtle. I know of companies who think they are being inclusive but in reality their diversity program has never included male Vietnam-era veterans, for instance. I maintain the opinion that places like that do not have a diversity program: They merely have a quota program with a coat of cheap whitewash. I think you need to consider what would get you to make a move. Sometimes, it may not even be money. I have had the opportunity to take “slam dunk” jobs over the years but after thought it would have been a mistake. @Mike: If you do this over and over, you might be considered a job hopper. Once, no. I moved once after a year and a quarter, and it was the best thing I could have done both for my sanity and my career. If you see a mismatch, so does your management, so it is good to move on from having a job rather than trying to find one when you don’t. I’m glad everyone realizes that the purpose of this Q&A was not to suggest that there’s always a reason to stay – if only you can find it. Sometimes the right answer is to move on. @LT: Great poke in the eye to the diversity demons! Good points, all. 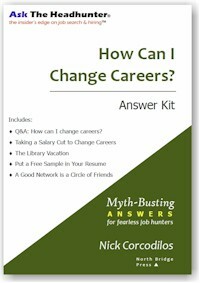 The interesting issue re “job hopping” is really very one-sided. Companies don’t like job hoppers, but in many instances, that is Frankenstein–they’ve created it. Don’t mentor workers, don’t promote from within, don’t give raises, don’t hire when there are vacancies but give the work to the remaining employees whether it is their job or not, within the scope of their abilities or not, when it means other projects and tasks can’t get done because people only have so much time and energy. Add a lousy economy, or being the “trailing” spouse, and have a history of letting go of your employees once they reach a certain age or a certain number of years with the company so they can’t qualify for pensions (do any private sector companies provide pensions anymore?) et voilà–you have a job hopper. Of course, there are some people who are job hoppers–don’t or can’t stick it out, and sometimes it is them, but sometimes it is the employer’s culture that creates it. Generally, in this country, we no longer have employers who have long-term and long-time employees–people don’t do what my father did–get a job with an employer straight out of high school and stay with it and them for his entire working life (and retire from them). 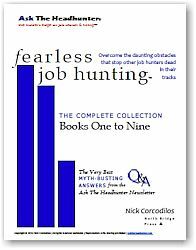 Entire jobs and industries have gone the way of the great wooley mammoth, and even with those that are still here, many employers simply don’t want you. You’re too old, too costly (cheaper to get a kid at a quarter of your salary) even if it means they lose the experience you bring and the institutional memory. Loyalty and hard work aren’t always rewarded, as Allie noted (companies don’t hesitate to eliminate your job if it can be done cheaper by someone in India). @L.T. : you’re right–“diversity” tends to be quite narrow despite its goal of broadening opportunities. Diversity for whom is the question. And I’m sorry that you and other Vietnam era veterans have had such a hard time. I was in my last job for 8 years; I had 5 direct bosses; the first 3 were absolutely fantastic; the last 2 were monsters. I stuck it out with boss #4 because it was common knowledge that was a contract hire (5 years), non-tenure track, and she managed to alienate people across campus and burned so many bridges that scuttlebutt was that when it came time to consider renewing her contract, no one in the upper administration would do it. Additionally, her biggest supporter, the dean of nursing had stepped down from her dual role as interim dean of public health AND, in a scandal of her own, quit her full deanship (nursing) in the middle of a semester to take another deanship. (don’t ask me how people who mess up and are mired in scandal manage to continually get high status and high paying jobs–I don’t know and don’t understand it) So when her protector left, my boss knew that no one (even in nursing) would speak for her and she got out. I stuck it out thinking that once my program reverted to control by my own school/dept. with someone who truly had our program’s, students’, faculty, and school’s interests in first place (not nursing first, us being there to serve nursing) things would be different. Yeah, it was “different” alright. That old song by The Who (Won’t Get Fooled Again) that goes “meet the new boss, same as the old boss…” applied here, but my new boss was even worse. In hindsight, I probably should have left after boss #3 left, but at that point there was a recession (jobs were scarce, though no where nearly as bad as in 2010 or even now) and I’d only been at that job for a little more than one year, wasn’t targeted to be let go, didn’t want to risk having no job, and figured how bad could boss #4 be? The answer: really, really bad, especially in comparison to my first 3 bosses. What happened was the culture changed, not me, not the program, not the students. Now, I’m more sensitive to the changes to a workplace culture that a new boss or even a new interim dean or regular dean or business office manager (the latter if the dean lets the b.o.m. do whatever the hell she wants and to hell with academic standards, processes, and ethics/morals and backs her no matter what). You might find a great job with the world’s best boss at a wonderful company or agency, then 6 months later everything has changed. I’d say, if things are bad and getting worse, if people are leaving (fired or leaving voluntarily) like rats fleeing the Titanic, then don’t wait for the tumbrils to bring you to Madame Guillotine and for the blade to fall. the person sounds like a job oriented person tire kicking jobs. Hardly a hint of company focus. He’s got a good job hinting at a good company. Don’t chase jobs chase companies. A good job in a good company is a base of operations. Instead of worrying that the grass may be greener somewhere else, he should put his energy into building a path to an even better job right where he is…better if he can create one. @Dave: Very true. And sometimes I think that the powers that be (whoever does the hiring at that level) doesn’t want to admit a mistake, so the screw up continues to get protected. And yes, we do see this in politics all the time. I’ve come to expect this in politics–I’m convinced that they’re born with teflon because it gets worse and worse yet nothing seems to get them out of office. At the workplace level, you’d think there would be more value in what they produce, in ensuring that the school/company/agency is well run. Thank you, Don, for reminding me of that point. I’ve been in a survival job for three years, and have seen more change here in three years than I had in thirty at my old place. Without warning, two extraordinary things happened just a couple of months ago, almost concurrently. First, a distribution center was shut down and the operations moved to our DC. In mid-move, we got word that there was a new sheriff in town, who valued employee input, one of my core values. Now I know why it is important to keep up with your field even if you were displaced. You never know when your place may come back. Or where. I’ve kept my resume updated with the skills I learned while surviving. I’ve already outlined possible new jobs here that I’d envisioned from my forty years plus experience in the field. Always be ready for an opportunity wherever you are, no matter how bleak the environment. One never knows when the winds will shift in your favor.